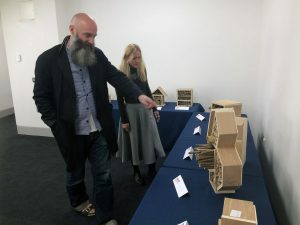 We were truly delighted and privileged to welcome local artist and creator of The Hive, Wolfgang Buttress, into school to talk about his work and how it is inspired by nature. This was a very special event for us and everybody who attended, including staff, girls, parents and other visitors were mesmerised by Wolfgang’s presentation. He described his love of nature and the universe, his admiration for, and recognition of the importance of bees, and his fear for their future. 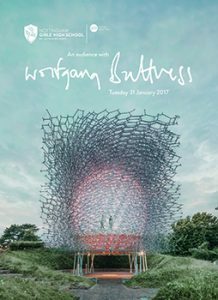 He talked us through the history and creation of his phenomenal sculpture The Hive which has been drawing the crowds at Kew Gardens in London for some time now. His work also inspired our own girls throughout the whole school to produce some amazing artwork on the theme of bees as part of The Big Draw. You can read more about Wolfgang and his work, and see examples of our amazing artwork in the booklet by clicking on the image. We also held some outreach events on the same theme during which local schoolchildren were tasked with making bee hotels, and they did a fantastically creative job. The hotels were on display at this event and Wolfgang took time out to have a look at them and was suitably impressed. We can never do enough to safeguard these vital insect friends.